We are loving everything orange this season. 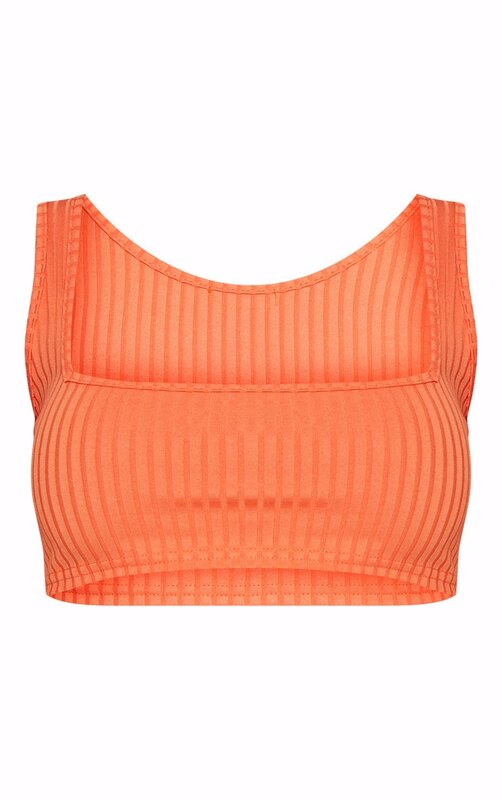 Featuring an orange ribbed material with a square neckline in a cropped length. Style this crop top with some cargo trousers and heeled boots, complete the look with some hoops and a bum bag.